Building an inclusive internal communications platform that unites our employees so they can build stronger connections is a key way we connect our global team members. Embedding these deep connections among individuals leads to them making better decisions, collaborating together towards one mission and all the other benefits of creating an engaged organisation. 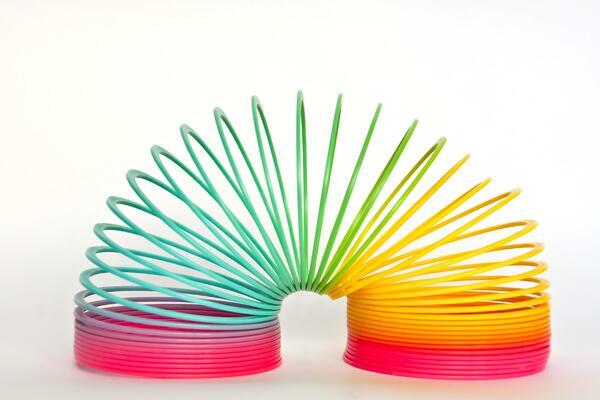 Is your workforce flexible enough? More than four million UK workers work from home, thanks to virtual workplaces with laptops, documents in the cloud and more. Fast-forward to now and technology has come even further. Meaning, year-over-year this trend will only continue to rapidly grow along with technology’s speed. Flexibility in today’s work landscape is key. When organisations enable their workforce to work remotely, work from home, take a longer maternity leave, or take a sabbatical, they express a sense of trust in their employees. Organisations can also simply outline the importance of a work-life integration, empowering their workforce to be happier, more engaged and more transparent. But workplace flexibility goes beyond just your working conditions – it’s about adapting your employee communications to meet a variety of audiences. It’s no shock that people absorb and react to information in different ways. 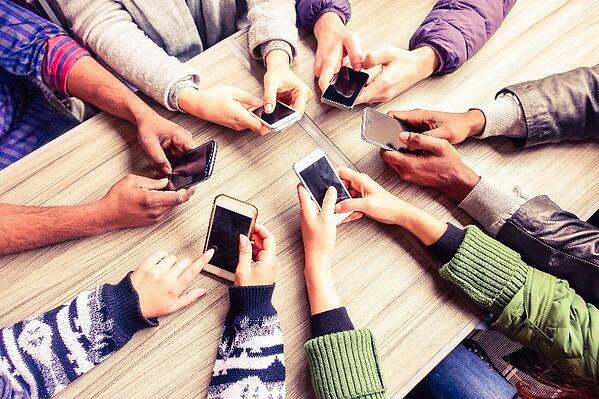 When you look around, do you notice how many people are on their cell phones? Mobile is where it’s at. Last year, the Independent reported that the average British person checks their mobile 28 times a day. Yes, we're heavily reliant on mobile, and need information at-the-ready. Communications should mirror how people interact with content on other news and social platforms. The average person is bombarded with messages each day, so how do we cut through the noise? If your internal communication isn’t easily accessible on mobile devices, you’re behind. Tools that emphasise mobile usage and support on-the-go workers are ideal for sharing employee communications and keeping them in one convenient spot. In my role, I frequently share lots of messages with the entire organisation. It would be easy if everyone was sat down at a desk all day, but we have a varied workforce today. Even though people may not be on a computer, they’re still connected and receiving information from their organisations. So how do we reach offline employees with internal communications? When your workforce is based around the globe, or even dispersed locally, communication should be consistent, easy to digest and accessible. Diversify your message so that it’s well-received across your company. 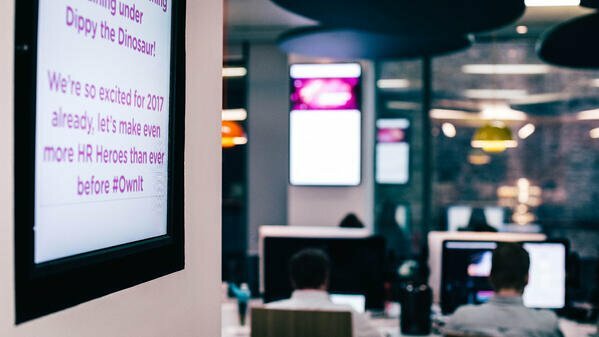 Here at RG, we have TVs set up around the office that give people bite-sized company updates as another way to digest information. His blog is then shared with the whole company at the beginning of the week and employees can read Doug’s update on any device, whether they’re on their commute into work or reading it at home after dinner. It’s about being flexible with the way your employees digest information. Our office is global, but maybe your employees are simply in different offices or towns nearby. Our Product Manager, Cat Wright is based in New Zealand, so we consider how the different time zones affect how our workforce communicates and absorbs information. We wouldn’t want to post an important announcement on a Friday when it’s technically already Saturday in New Zealand. It’s a known fact that most people don’t check their messages as much on the weekend. We want to be in alignment with that. Last but not least, our Head of Client Communications, Megan Gough has been out on maternity leave recently. Although she’s tending to her responsibilities outside of work, she gets the same information as everyone else at the company, so she feels in the loop and connected even though she may not be face-to-face. Megan’s not only able to access these universal updates, but also can communicate with all colleagues remotely and effortlessly. 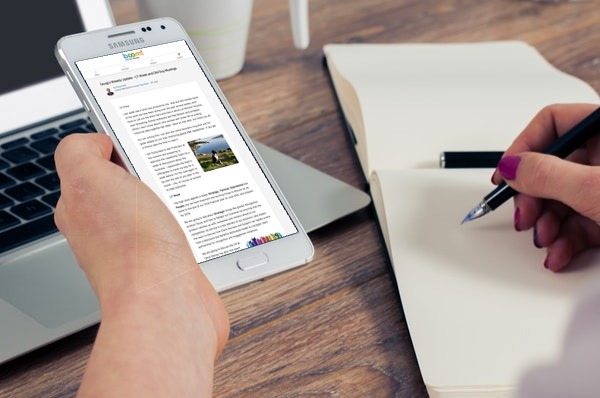 Keeping your team connected on-the-go, remotely or even with diversified messages in the office is key to improving employee communications. Adopt internal communications tools that enable you to reach new heights when connecting with your employees. Ask yourself, what does “Mission Monday” look like at my organisation? How can I connect my entire workforce to my mission, purpose and values to increase employee engagement?